Balram, Adiga’s protagonist, shows how to assert oneself in the Indian society, come what may. I hope this book won’t create monsters without character, integrity, ethos, and soulless humans, devoid of values and norms. From what sources are the characters drawn? The story is in the form of a letter written by the protagonist to the Chinese Premier Wen Jiabao and is drawn from India’s history as told by a school drop-out, chauffeur, entrepreneur, a self-made man with all his charms and flaws, a man who knows his own India, and who presents his views frankly and candidly, sometimes much like P.G. Wodehouse’s Bertie Wooster. The author’s attitude toward his characters is comical and satirical when it comes to realities of life for India’s poverty stricken underdogs, whether in the form of a rickshaw puller, tea-shop boy or the driver of a rich Indian businessman. His characters are alive and kicking, and it is a delight to go with Balram in this thrilling ride through India’s history, Bangalore, Old and New Delhi, Mumbai and its denizens. The major theme is how to get along in a sprawling country like India, and the author reveals his murderous plan brilliantly through a series of police descriptions of a man named Balram Halwai. As to the intellectual qualities of the writing, I loved the simplicity and clarity that Adiga has chosen for his novel. He intersperses his text with a lot of dialogue with his characters and increases the readability score, and is dripping with satire and humour, even while describing an earnest emotional matter like the cremation of Balram’s mother, whereby the humour is entirely British—with Indian undertones. The setting is cleverly constructed. In order to have pace and action in the story Adiga sends Balram to the streets of Bangalore as a chauffeur, and suddenly you’re in the middle of a conversation and narration where a wily driver Balram tunes in. He’s learning, ever learning from the smart guys in the back seat, and in the end he’s the smartest guy in Bangalore, evoking an atmosphere of struggle for survival in the jungles of concrete in India. Indeed, blazingly savage, this book. A good buy. About the Author: Satis Shroff lectures on Creative Writing at the University of Freiburghttp://www.zfs.uni-freiburg.de/zfs/dozent/lehrbeauftragte4/index_html/#shroff. and is the published author of three books on www.Lulu.com: Im Schatten des Himalaya (book of poems in German), Through Nepalese Eyes (travelgue), Katmandu, Katmandu (poetry and prose anthology by Nepalese authors, edited by Satis Shroff). His lyrical works have been published in literary poetry sites: Slow Trains, International Zeitschrift, World Poetry Society (WPS), New Writing North, Muses Review, The Megaphone, The Megaphone, Pen Himalaya, Interpoetry. Satis Shroff is a member of “Writers of Peace”, poets, essayists, novelists (PEN), World Poetry Society (WPS) and The Asian Writer. Krishna Bhatt, the author, a person who was ‘educated to get a graduate degree in Biology and Chemistry,’came to Kathmandu in 1996 and has seen profound political changes. In this book he seeks to find an ‘explanation for what is happening.’ Life, it seems, to him, is tricky, while political violence has been shocking him episodically. That’s the gist of it: twenty-one short episodes that are revealed to the reader by an author, who’s trademark is honesty, clarity and simplicity—without delving too deep into the subject for the sake of straight narration. What emerges is a melange of tales about life, religion, Nepalese and Indian society packed with humour. A delightful read, a work of fiction and you can jump right into the stories anywhere you like. Did you know that people who are married wear an ‘air of sacrificial glory’ about them in Nepal? The other themes are keeping mistresses in Kathmandu, sending children abroad for education, the woes of psychotherapists in Nepal (no clients). I’ll leave it to you to find out why. Nepal is rich in glaciers and the water ought to be harnessed to produce drinking water and electricity, but in Kathmandu, as in many parts of the republic, there’s a terribly scarcity of water among the poor and wanton wastage among the Gharania—upper class dwellers of Kathmandu. The Kathmanduites fight not only against water scarcity but also a losing battle against ants and roaches. The author explains the many uses of the common condom, especially a sterilised male who uses his vasectomy for the purpose of seduction. However, his tale about the death of his father in “The Harsh Priest and Mourning” remains a poignant and excellent piece of writing, and I could feel with him. 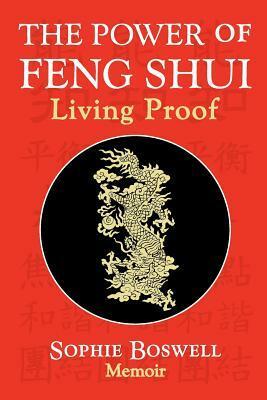 It not only describes the Hindu traditions on death and dying but also the emotions experienced by the author. Dennoch gab es Generationen von denkenden und schreibenden Nepalis, Inder, Bhutanesen und Tibeter, die Hunderte von Schriftstücken, Zeitschriften und Bücher geschrieben und veröffentlicht haben, in ihren eigenen Sprachen. Allein in Patans Madan Puraskar Bibliothek, die Kamal Mani Dixit, Patan’s Man of Letters, beschreibt als „der Tempel der Nepali Sprache,“ gibt es 15,000 Nepali Bücher und 3500 verschiedene Zeitschriften wovon die westliche Welt noch nie gehört oder gelesen hat. Alice Grünfelder has studied Sinology and German literature, lived two years in China and works in the publishing branch in Berlin. This book is comparable to a bouquet of the choicest Himalayan flowers picked by the editor and deals with the trials and tribulations of a cross-section of the people in the 450 km long Abode of the Snows–Himalayas. The book orients, as expected, on the English translations of Himalayan literature. The chances of having Nepali literature translated into foreign languages depends upon the Nepalis themselves, because foreigners mostly loath to learn Nepali. If a translation is published in English the success of the book is used as a yardstick to decide whether it is going to be profitable to bring it out in European or in other languages. There are hardly any books written by writers from the Himalayas at the Frankfurter Book Fair. It’s always the travelling tourist, geologist, geographer, biologist, climber and ethnologist who writes about Nepal, Tibet, Zanskar, Mustang, Bhutan, Sikkim, Ladakh and its people, culture, religion, environment, flora and fauna. The Himalayan people have always been statists in the visit-the-Himalaya-scenarios published in New York, Paris, Munich and Sydney and they are described through western eyes. But there have been generations of thinking and writing Nepalis, Indians, Bhutanese and Tibetans who have written and published hundreds of books and magazines in their own languages. In Patan’s Madan Puraskar Library alone, which Mr. Kamal Mani Dixit, Patan’s Man of Letters, describes as the “Temple of Nepali language”, there are 15,000 Nepali books and 3500 different magazines and periodicals about which the western world hasn’t heard or read. A start was made by Michael Hutt of the School of Oriental Studies London, in his English translation of contemporary Nepali prose and verse in Himalayan Voices and Modern Nepali Literature. It took him eight years to write his book and he took the trouble to meet most of the Nepali authors in Nepal and Darjeeling. 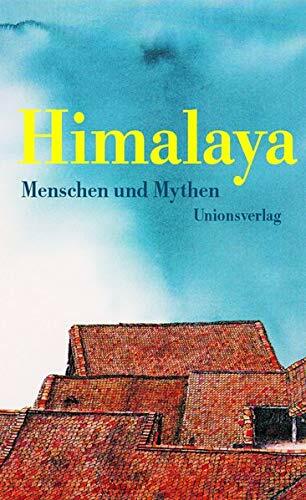 The readers in the western world will know more about Himalayan literature as more and more original literary works are translated from Nepali, Tibetan, Hindi, Bhutanese, Lepcha, Bengali into English, German, French and other languages of the EU. The first foreign language, however, will remain English because the East India Company got there first.